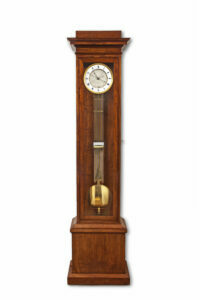 This longcase clock has a brass-plated movement with anchor escapement and pendulum. The striking train strikes Dutch striking; the hours and half hours on two different bells. Repeater. The going and striking trains are weight-driven. 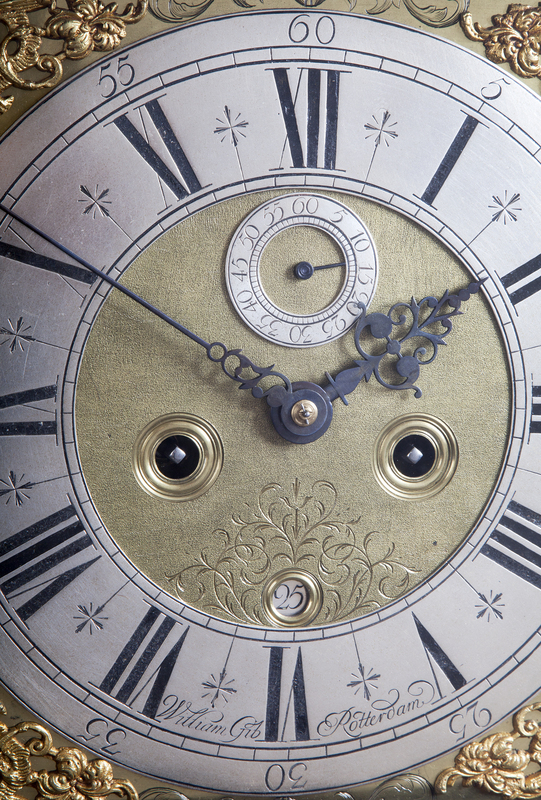 The square brass plate has a silvered chapter ring with engraved, black Roman numerals for the hour-indication, Arabic numerals for the five minute-indication, minute-stripes and half hour markers. In the matted center the silvered seconds dial with blued steel hand, the date aperture and the two holes for winding up the trains. The hour and minute hands are made of blued steel. 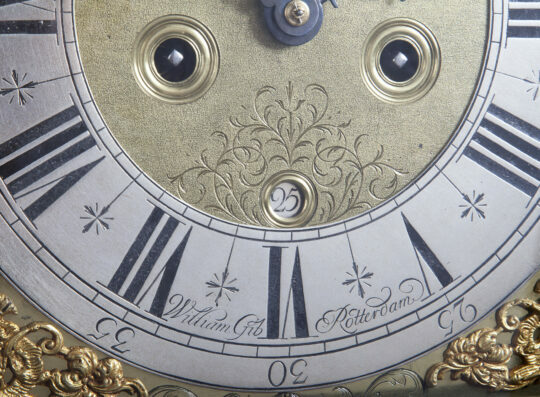 Between the VII and the V the dial is signed William Gib Rotterdam. On the four corners four brass cast cherub spandrels. 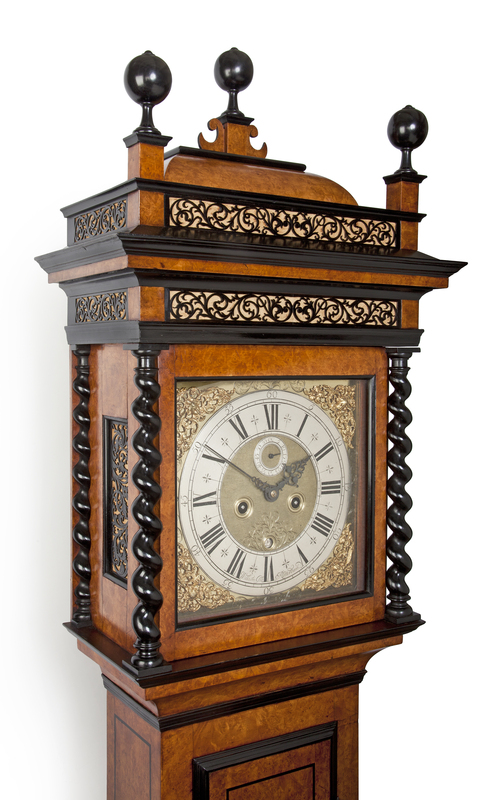 The case is made of oak wood and veneered with elmwood and decorated with blacked pearwood strips. The dial plate is flanked by columns. The case has pierced sound openings. The case has four feet. Literature H.M. Vehmeyer, Clocks, their origin and development 1320-1880, p. 967. William Gib/Gibb, originally from England, worked in 1699 Rotterdam on Blaak nr. 2. He was ‘Hooftman’ of the St. Eloys gild. He married Anna Romilius before 1700. His son was baptized on 9. octobre 1700 He died in 1732.